Go-anywhere freedom has a name: Nutrail. A bike that holds its line off-road no matter how steep, rocky, loose or slippery the surface, it keeps going where others have long since thrown in the towel. Believe it: fatbike versatility extends way beyond the soft sand or snow that's its natural home. That's why we equipped the Nutrail to take on anything. The reliable Shimano Deore 2x10 transmission gives you the gear range to tackle any trail, anywhere, anytime, while the RockShox Bluto fork will hold your line come what may and powerful Shimano hydraulic disc brakes give you total control. 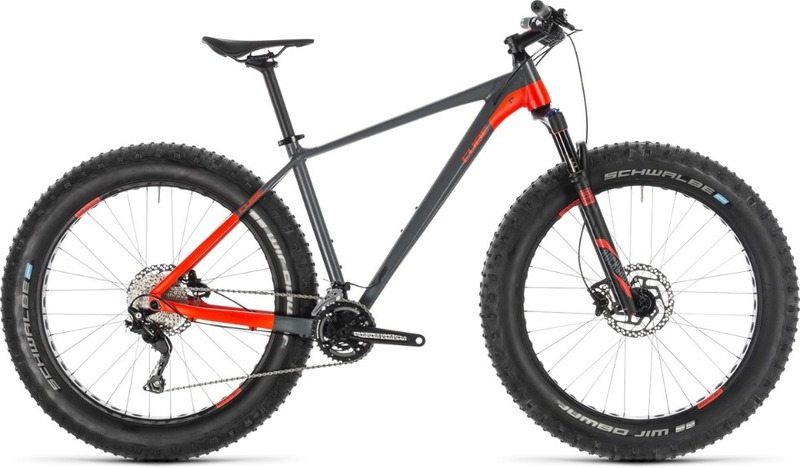 Wherever your riding aspirations take you, from the Sahara to Alaska via your local trails, this is a bike that will redefine your expectations of what 'rideable' really means.